I bought a $14 sandwich this weekend. In my defence I didn’t know it was a $14 sandwich when I chose it. Apparently that’s the going rate for sandwiches on Hamilton Island. We were headed to neighbouring Dent Island for some fancy golf, so I thought that grabbing a snack at the bakery before we left might be a good idea. Nope. Not even close. 59 minutes parking at the airport. enough petrol to drive 71kms. 2 kilos of baby peas, the Big Sister’s favourite afternoon snack. 11 minutes and 5 seconds disco bowling. 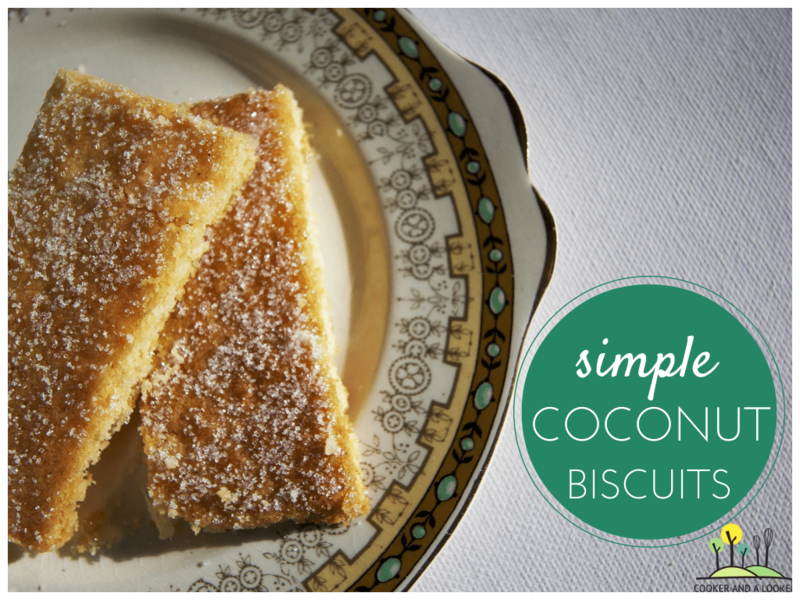 enough ingredients to make approximately twenty-milli-hundred simple coconut biscuits. Cream the butter and sugar (in a bowl or using your food processor. Add the egg and mix well. Add the coconut and flour and mix to form a paste. I’ve noticed that coconut differs in water content, so add another tablespoon of flour if the dough seems too sticky. Roll between two pieces of baking paper (save washing-up!) to about 6mm thick. Slide onto a baking tray, remove the top layer of baking paper and bake at 180ºC until light brown, about 12-15 minutes. Dust with sugar and allow to cool before cutting into bars. The irony of the sandwich saga is, I didn’t eat the whole thing. I put it in the esky to keep it cool and it got so soggy I couldn’t eat it. Luckily the golf was worth it. Bearhands had a ball. ever bought an expensive sarnie? what else can $14 buy? *shameless plug I know, but I spent my marketing budget on sandwiches. Nothing like a really good burger Jay! Now I can’t help thinking I should tuck into one at lunch! Singapore is such an expensive place to drink. Luckily the food is cheap and fabulous huh? You started my day with a smile. Thank you! Sounds very similar to our DayDream Island experience. But much to Gavin’s excitement he was able to buy a beer with his pie from the bakery at 9am.